Nigerian ed-tech startup Insight Africa is using its Studylab product to allow teachers and schools to monitor the progress of their students across each subject, while providing video tutorials to help fill gaps. 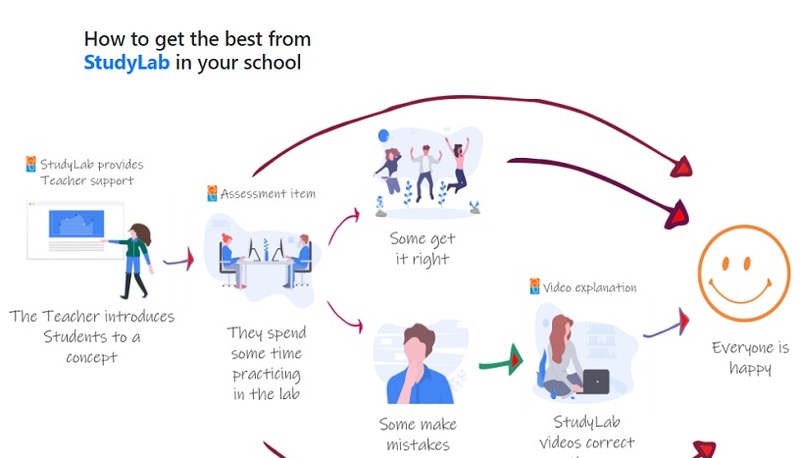 Studylab is a continuous assessment, feedback, and analytics system for schools, who can sign up on a per-student subscription basis for the platform, which works both online and offline. Students work on questions provided on Studylab, with the system collecting data on their work and providing visualised reports on the progress of each student across each topic. “This can allow a teacher, a parent or the student herself to understand areas she is great at, and areas she needs more practice and help to improve. Think business intelligence for education,” growth manager Habeeb Kolade told Disrupt Africa. Schools have improved mathematics scores by up to 40 per cent using Studylab, which was launched in its current format in 2017. Kolade said it has been built to assist teachers in adequately helping all students in their care within their limited time. “Teachers usually have to cater for 30-90 students in a school. What Studylab does is enable teachers to understand areas of strengths and weakness of students, thus enabling them to provide attention to each student in a more precise manner. Thus, we make the work of the teacher more efficient while ensuring no child is left behind in the classroom,” he said. The self-funded startup has won a host of prizes, including the Etisalat Innovation Prize, and is seeing slow but steady uptake of its product. It is close to releasing version two of its product, for which it has more than 70 schools on a waiting list. “Schools who already use Studylab have had nothing but great feedback for us, while schools who are just getting to understand the impact of analytics as a tool for precision education towards academic excellence have required a little more patience from us to convert,” said Kolade. Insight Africa is focusing on the Nigerian market for now. “Our current expansion plan includes taking most of the Nigerian market by expanding across and beyond the states that use our solution. So far, we are represented in about four states. West Africa will be the next stop after this,” Kolade said.